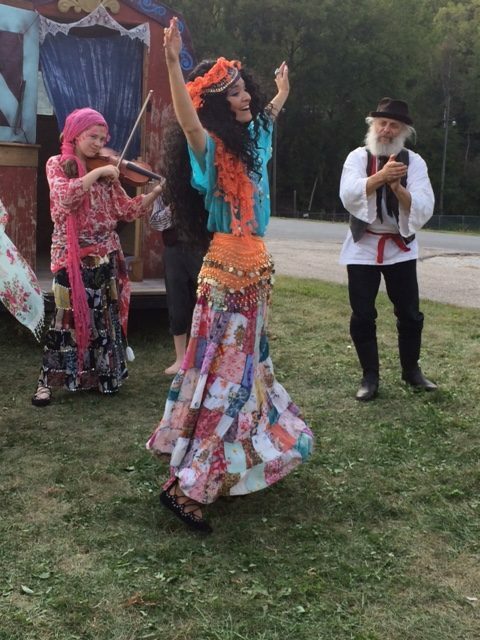 Pop-up Plays are a set of scenes based on original scripts with music and dance and set outdoors in historic sites of Lanesboro. 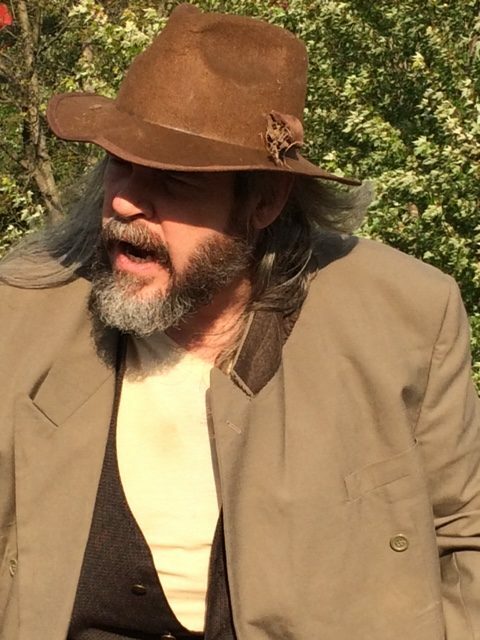 Audiences are led on a walking tour where they experience the 28 characters that once inhabited our town! With thanks to SE MN Arts Council and Legacy Funds from the people of Minnesota. Non-profit group History Alive! 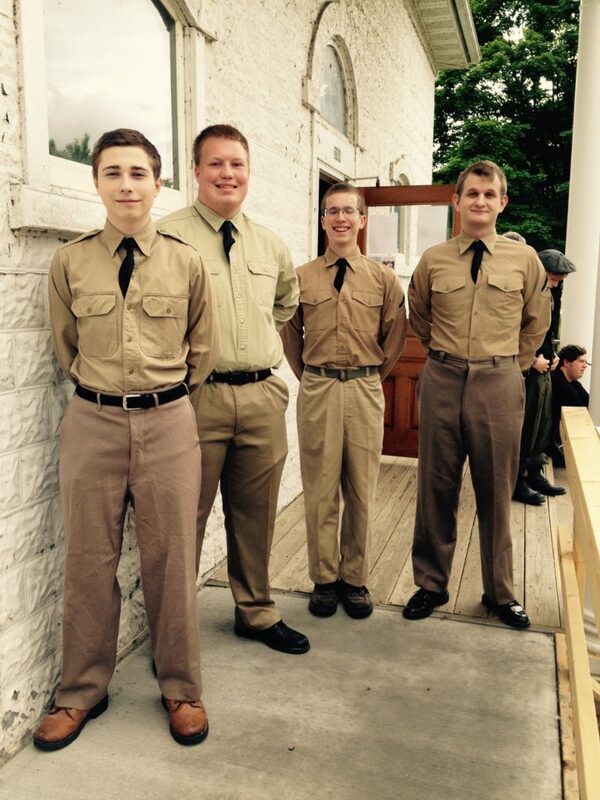 Lanesboro was born in December 2016 in Lanesboro, Minnesota after seasons 2015 and 2016 of very successful Pop-up Plays to keep the tradition going! Next Pop-up Plays will be two weekends: September 23/24 and 30/Oct.1, 2017. Tours at 1 and 3 pm each day. Begins at Sons of Norway Lodge, 108 Parkway Ave. South. Free with suggested donation. Written, directed by Jane Peck. 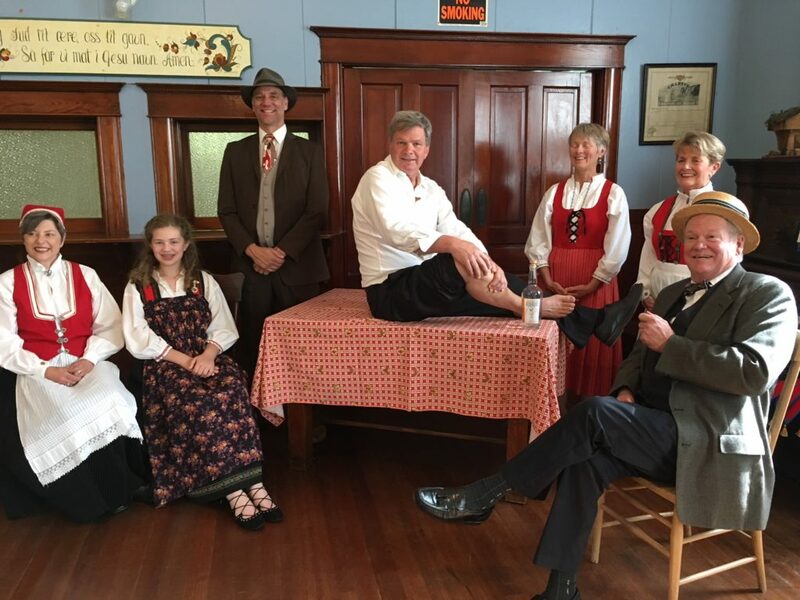 Our mission is to present original Lanesboro area history programs through the arts: acting, storytelling, dance, music, and writing. 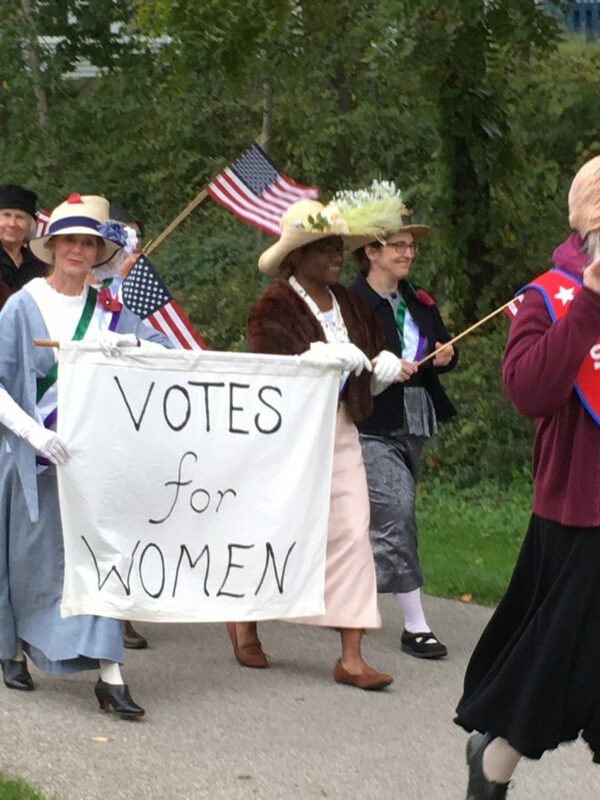 We hope to foster community identity and the understanding of American small town heritage. 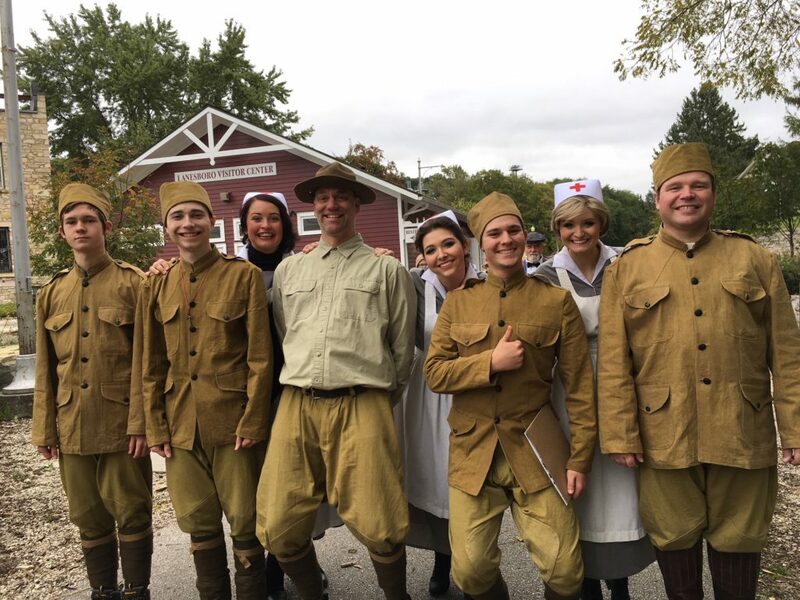 Pop-up Plays Lanesboro: 1918 was performed twice daily September 22 , 23, 29 and 30, 2018 with walking tours to various scenes that began at Sons of Norway Lodge, Lanesboro, MN. With a new script and direction by Jane Peck this production included 45 performers and was attended by a total of 450 audience members. 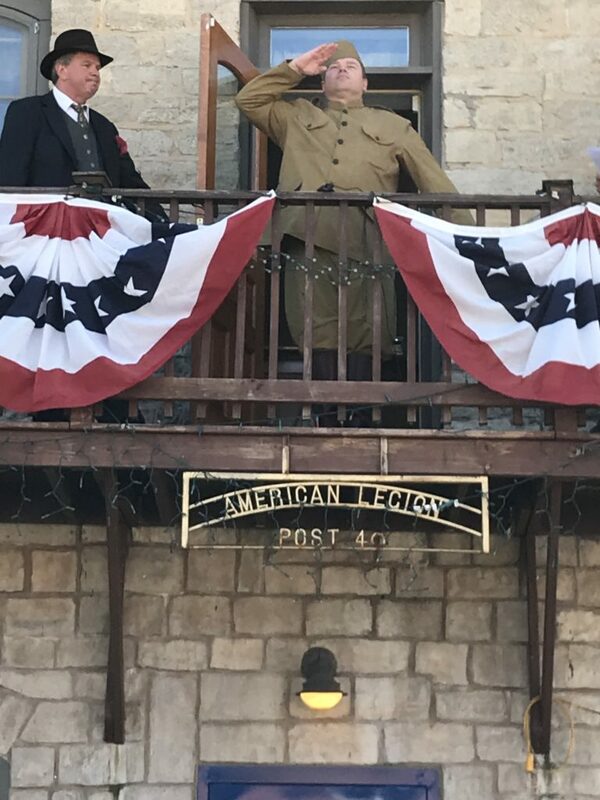 History Alive Lanesboro partnered with Lanesboro Henry Guttormson American Legion to produce this centennial show! 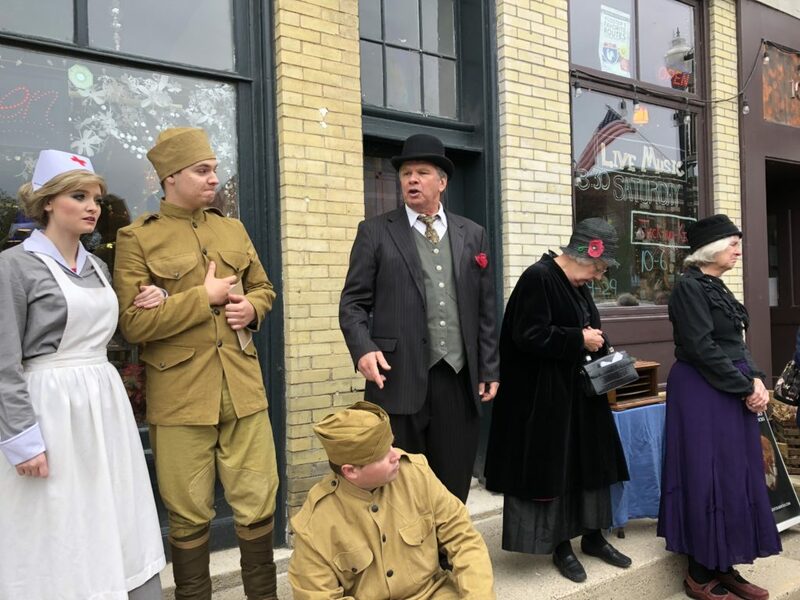 Local World War I soldiers and nurses returned , suffragists marched, vaudeville came to town with Charlie Chaplin -as did the influenza epidemic. 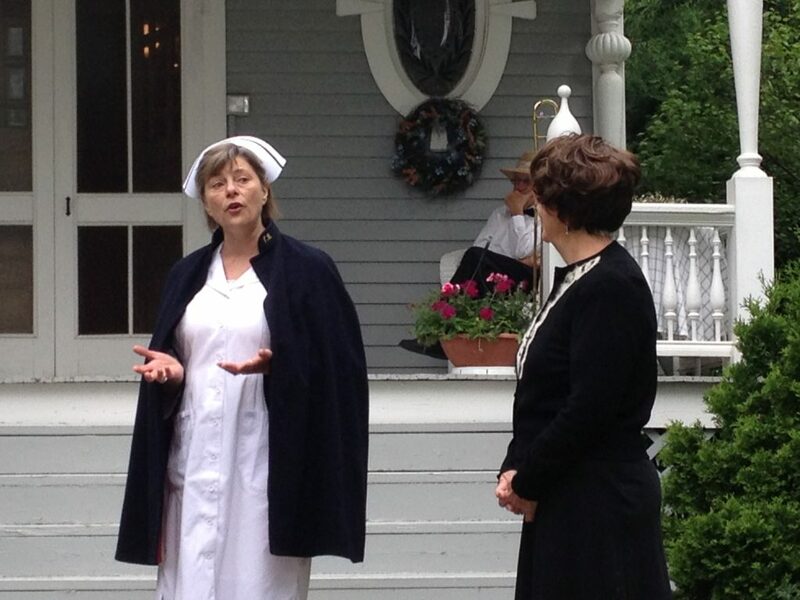 There was a welcome home parade for soldiers and nurses and a memorial for those who died. Enormous thanks to those who donated to make this event possible. 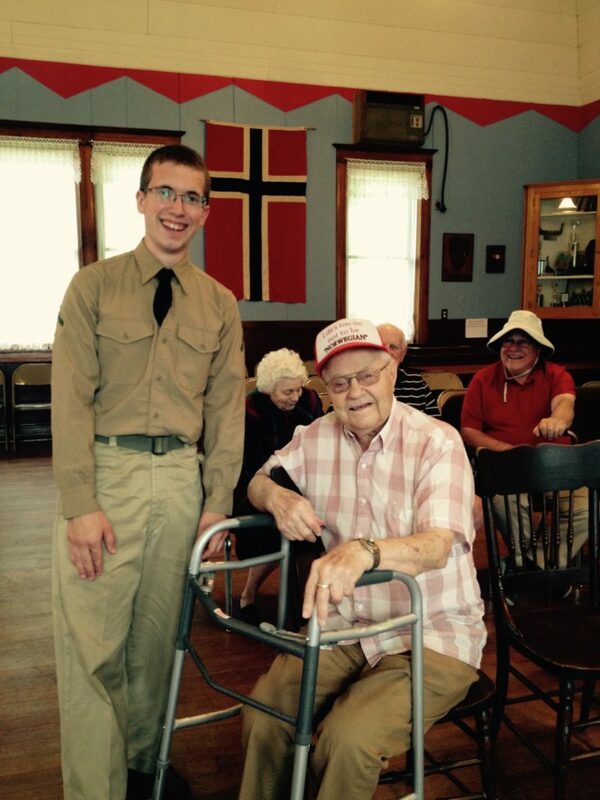 Thanks to the Lanesboro Area Community Foundation and Lanesboro American Legion. Thanks to performers and volunteers. We love you all! 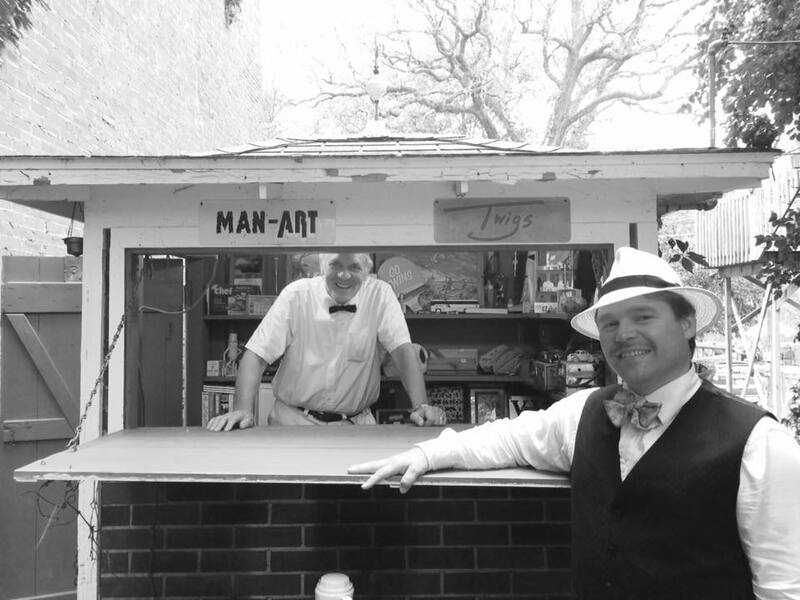 Pop-up Plays Lanesboro 1930s: The Sequel was performed in twice daily over 4 weekend days in late September. 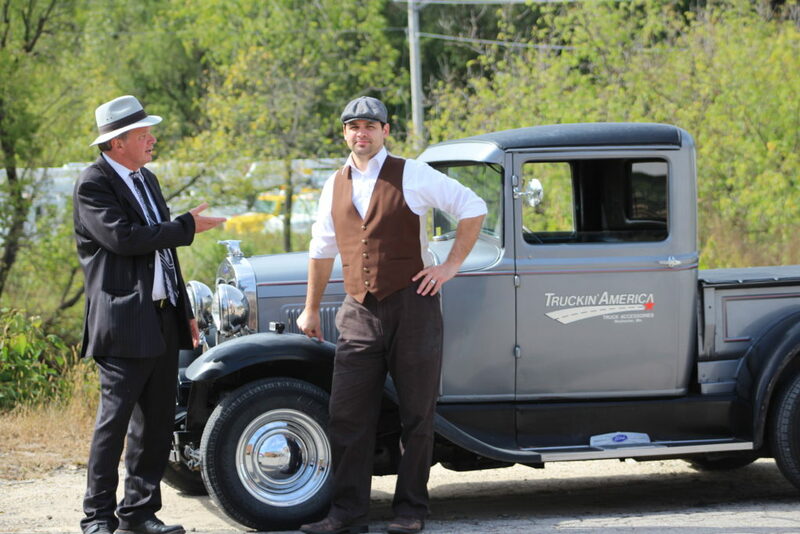 This show focused on the turbulent years of 1936-1939 in Lanesboro, Minnesota. Playright and Director Jane Peck included local effects of the Depression and early labor movement, the rise of Hitler, the big Sons of Norway convention or 1936 and the local Roma or Gypsy camp. Peck recorded many oral interviews with local elders who remember these days. Con St. Mane was a trucker who took part in the violent truckers’ strike of 1934 in Minneapolis. Chris talks about hard luck and hard times. Local Chris Steeno lost all his money in the bank crash of 1929 and never recovered. 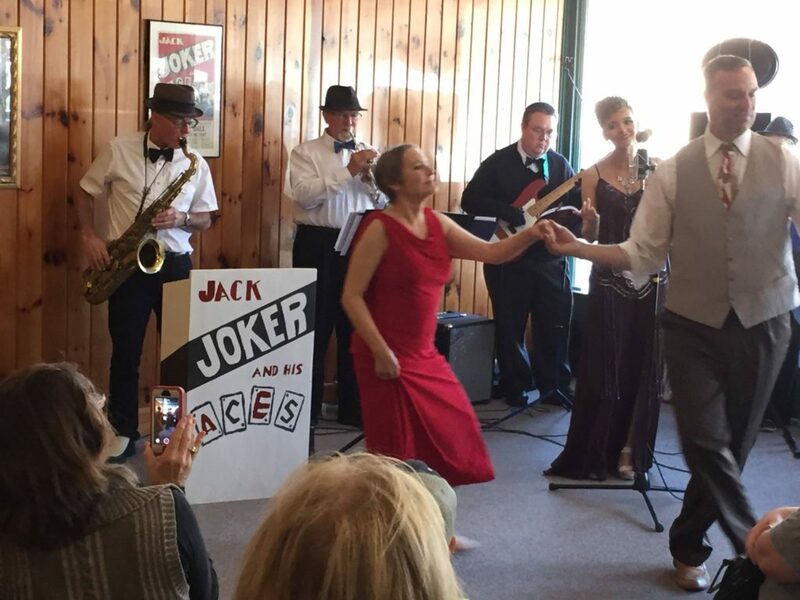 The President’s (FDR) birthday ball with Jack Joker and the Aces comes back! 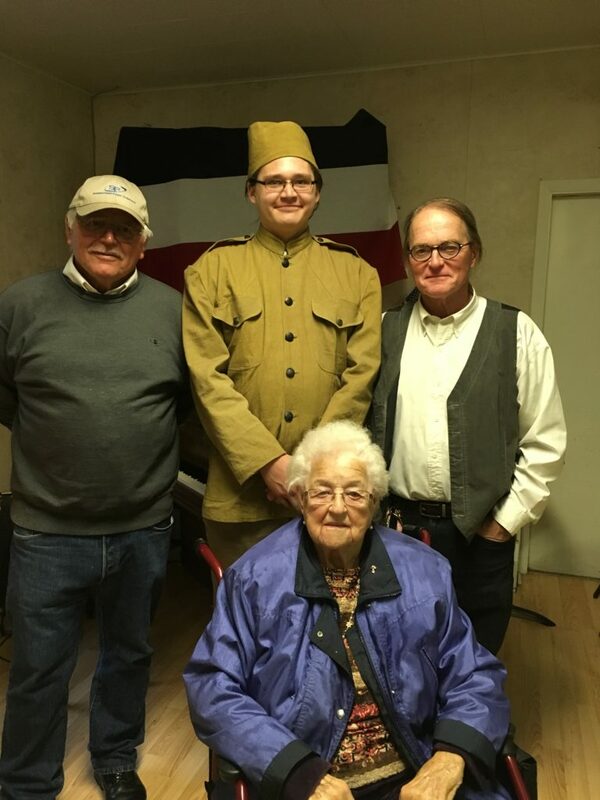 The 1936 Sons of Norway convention brought hundreds of people to town and included a play in Norwegian (Dei Kvinnfolke) produced in 1936 which we reproduced. Bea Teigen remembered watching the gypsies/Roma come to town with horses and carts past her house. Ken DeVilliers, marathoner and musician at Hank Langlie’s Cafe 1934. 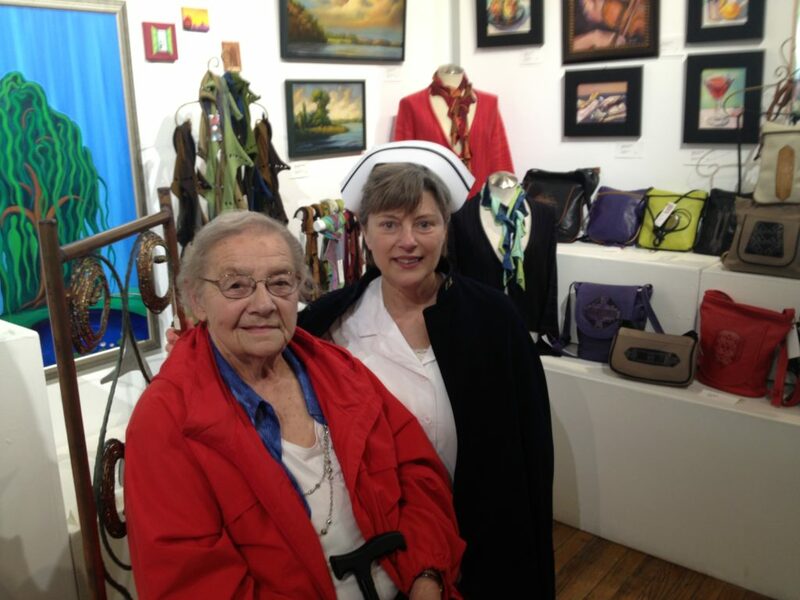 Nurse Helen Kalis tells of polio at the 1950s hospital.